President of Azerbaijan Ilham Aliyev established Human Rights Day in Azerbaijan in 2007. This day is annually observed on June 18 since 2008. President Heydar Aliyev established the Human Rights Protection State Program in 1998. Establishment of this program became a basis for introduction of Human Rights Day in Azerbaijan in 2007. The Human Rights Protection State Program was created to protect legitimate rights of citizens of Azerbaijan and monitor the implementation of international legal regulations. Due to this program thousands of Azerbaijanis were granted general pardon, number of prisoners was reduced to 13,000. The steps made for implementation of this program were appreciated by the Council of Europe. 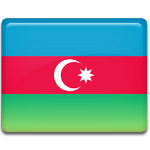 The date of adoption of the Human Rights Protection State Program became a holiday in Azerbaijan. Various thematic events are organized to celebrate Human Rights Day. These events declare state support and protection of the nation.